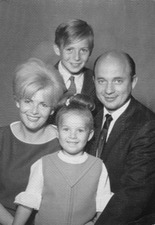 Frank Sanchez came to the United States from his native Argentina in 1960, settling first in Covina. An electrician by trade, he worked odd jobs his first couple of years in America before joining the electricians union in 1962. For the next seven years, Sanchez happily plied his trade, a period of his life which he remembers fondly. During these years, Sanchez saved some money and purchased a plot of land in Lancaster. In doing so, the man who sold him the land suggested that he pursue a career in real estate. In his spare time, Sanchez studied for and obtained a real estate license, whereupon, he immediately began to pursue sales leads on the weekends. This, when coupled with his regular job as an electrician, left him little free time. Still, he was not complaining. In 1972, with business booming, Sanchez purchased what was then a Flying A gas station a few blocks south on El Camino Real. The site, where he has remained ever since, came with four gas pumps and two repair shop bays. Sanchez expanded the building to add two more bays and also removed two of the pumps. “We sold diesel fuel at 49 cents a gallon,” he says, with a laugh. “The Mercedes diesel models were popular at the time.” He removed the pumps some years later after the use of diesel fuel declined. 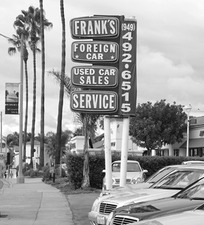 Today, Frank’s is strictly a Mercedes sales and repair operation. 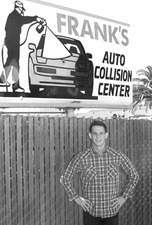 As the years went on, Sanchez opened another auto body repair business in town, on south El Camino Real, and added auto sales businesses in Laguna Beach and Lake Forest/Irvine. His son Sergio runs the former, while daughter Desiree is in charge of the latter. Sanchez and his brother Ruben are also partners in a Mercedes sales and repairs business on Coast Highway in Dana Point. As his tenure in the auto business approaches 40 years, Sanchez attributes his continued success to the lessons he learned when he was selling real estate.